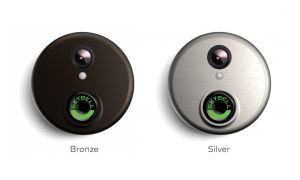 Featuring an easily integrated and user-friendly camera, PIR motion sensor, and digital microphone and speaker, our Wi-Fi Doorbell Camera allows homeowners and business owners to answer their doors and efficiently interact with visitors by utilizing cutting-edge audio. 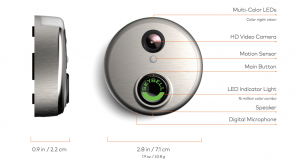 No more worrying about potentially unsafe and awkward doorstep conversations, as the Wi-Fi Doorbell Camera enables seamless, controlled, and safe doorstep encounters and conversations. By deploying a well-defined and easily understood contract, we can promise you there will be no inconvenient and troublesome contracts to deal with or opt out of. We do not retain any equipment used after the contract is signed and up, unlike several of our competitors. Rather than going down the DIY route to save a little bit of money while minimizing the effectiveness of the product itself, contact iWatch, the industry for your residential and commercial security system installation. As Iwatch Security is a locally-owned and operated company, we live in the community and spend our money with local companies when possible to make sure that we support our local economy. We are also proud and excited to support many charities and local organizations that impact our communities in a positive way. Finally, we are proud of the fact that 95% of potential customers who receive a complimentary consultation with one of our security experts end up choosing Iwatch Security over the competition. If you would like to learn more, please check out our services page. If you would like to schedule a consultation with one of our local security system experts, call us at 919-957-9818 or fill out the form below!